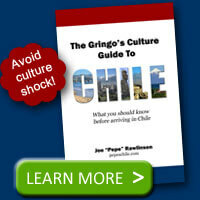 If you need to get in touch with someone in Chile, whether to chat with an old friend or book a hotel for your visit, you’ll need to know how to call Chile from outside the country. Once you’re there, it may come in handy to know how to make local or regional phone calls so your visit goes more smoothly. 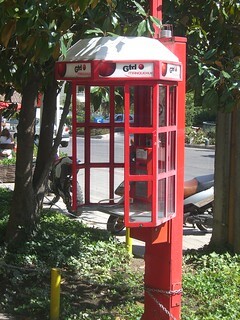 Most landline telephone numbers in Chile are six or seven digits long. Each telephone number has an area code, which is either one or two digits. For example, the area code for the Santiago metropolitan area is 2, and the code for Concepción is 41. Mobile phone numbers are eight digits long and have their own area code. When dialing a mobile phone from a landline, you must dial 9 first, but mobile phones calling to each other don’t need to dial an area code. When making a local call, simply dial the six- or seven-digit phone number. When making a long distance call, you must first dial the code of a long distance carrier (such as 123 for Entel) that provides service to that line, then the area code for the region you are calling, then the six- or seven-digit phone number. 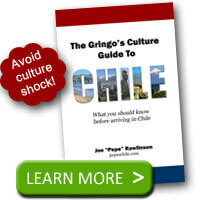 To call a Chilean phone number from outside the country, you must first know the exit code for your country, or the code that lets you access international phone numbers. In the United States and Canada, that code is 011. Then you have to dial the country’s access code, which for Chile is 56. Then you can dial the area code and phone number as usual. For example, to call the Chilean National Museum of Natural History from the United States, you would dial 011-56-2-680-4615. There are several special emergency service numbers set up in Chile, similar to calling 911 in the United States. To call an ambulance, for example, you would dial 131, for firefighters, 132, and for police, 133. Internet calling services like Skype have made international calls both cheaper and easier. You still must pay to make an international phone call, but often the rate for using an Internet calling service is less than you would pay for using a landline. Occasionally the connection is unreliable or slow, and you may find yourself talking over one another, but the cost savings may make it worthwhile to find a service that works for the person you are trying to call.